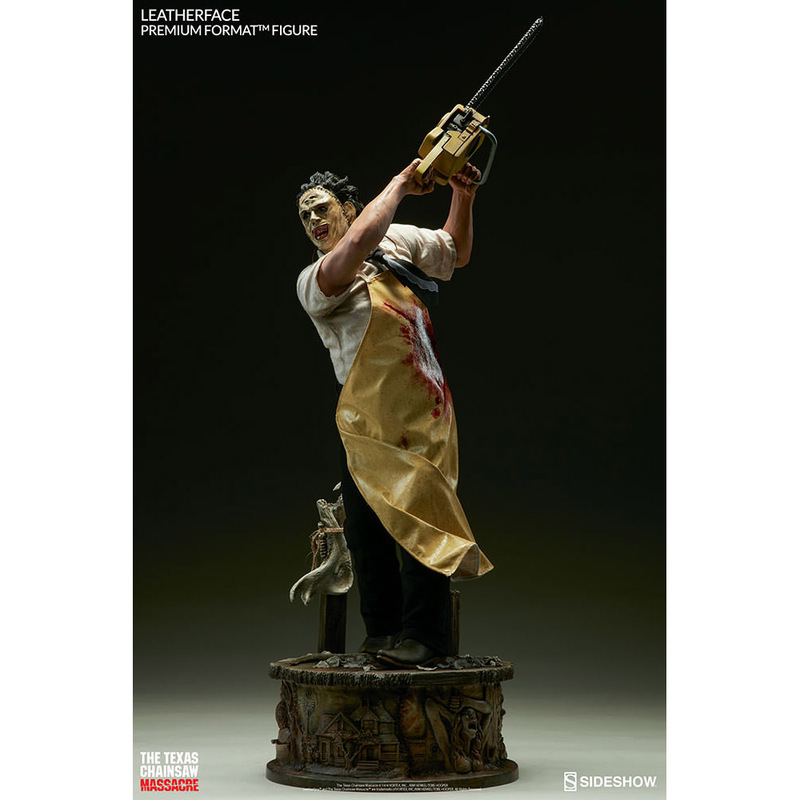 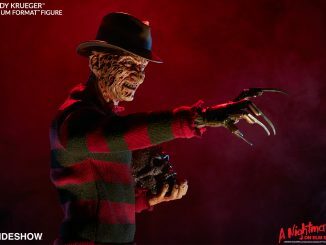 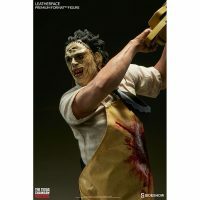 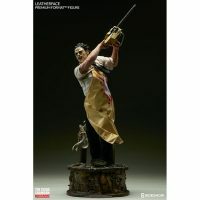 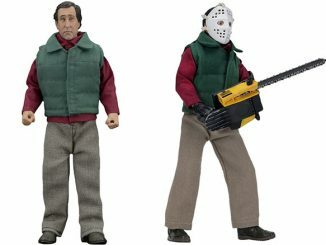 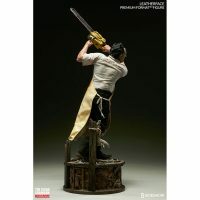 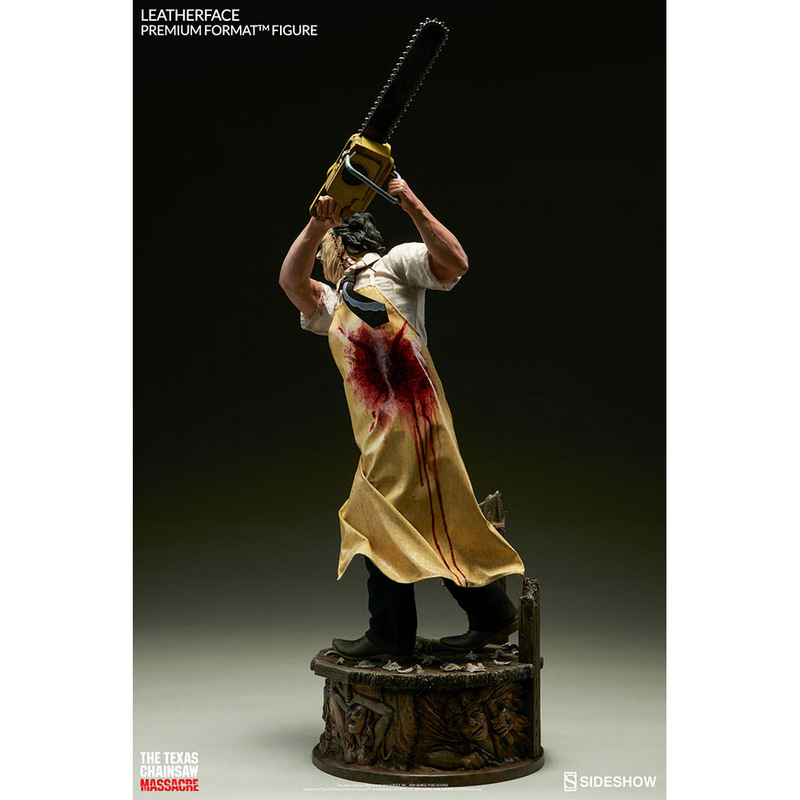 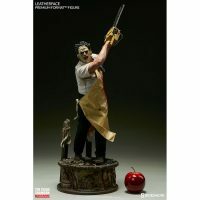 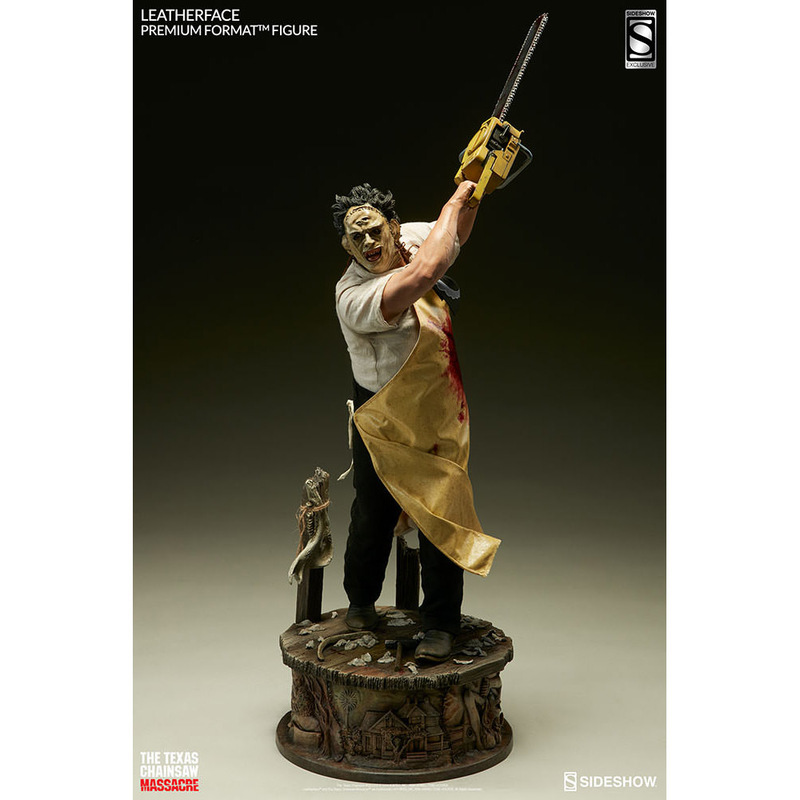 The master of cannibalistic culinary cuisine is captured with the Texas Chainsaw Massacre Leatherface Premium Format Figure. 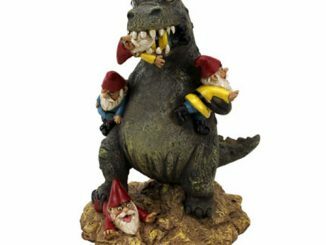 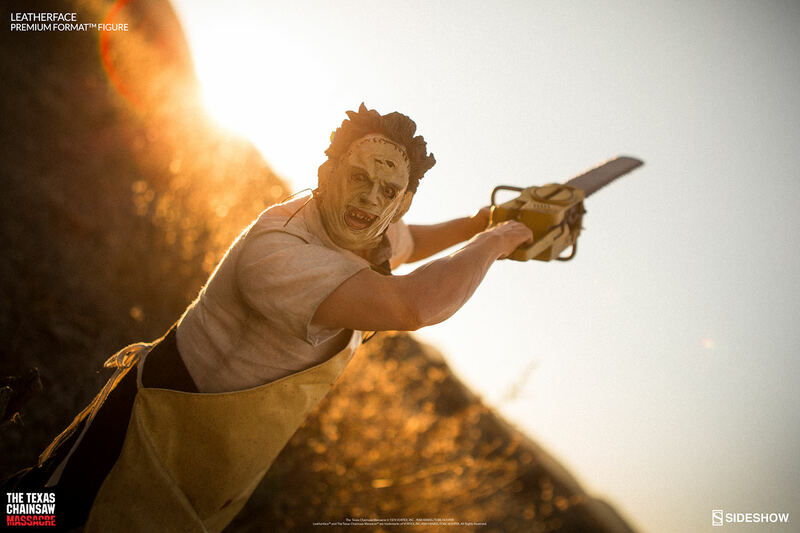 Everything’s bigger in Texas, including chainsaw-wielding maniacs that have a craving for human flesh. 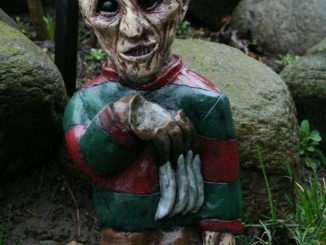 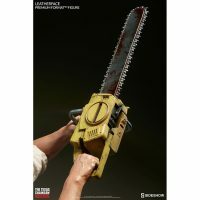 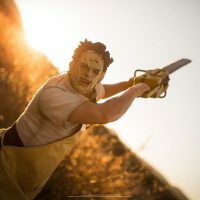 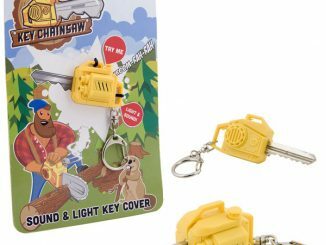 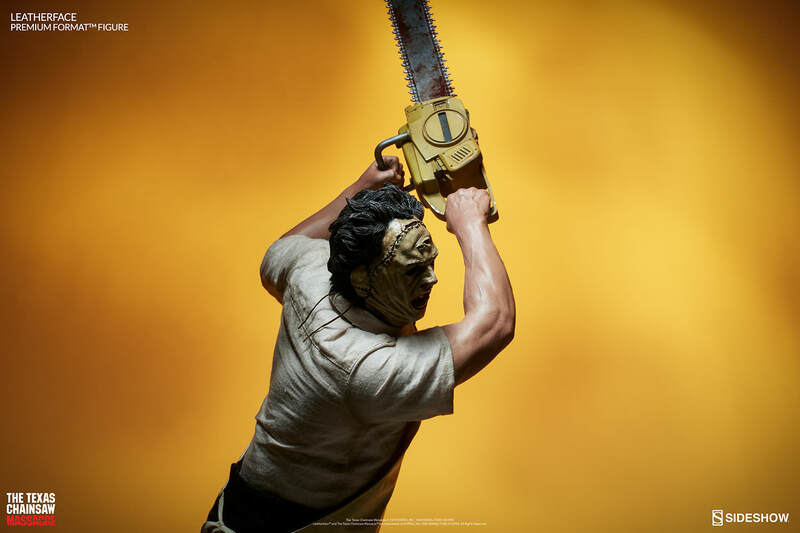 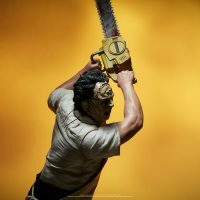 Standing 29-inches tall, the face-wearing horror icon known as Leatherface is captured in a classic pose, swinging his chainsaw through the air as he pursues a victim trying to make a run for it. 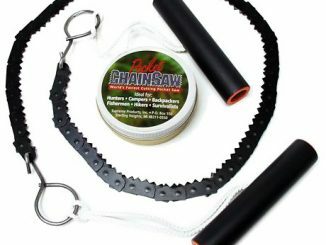 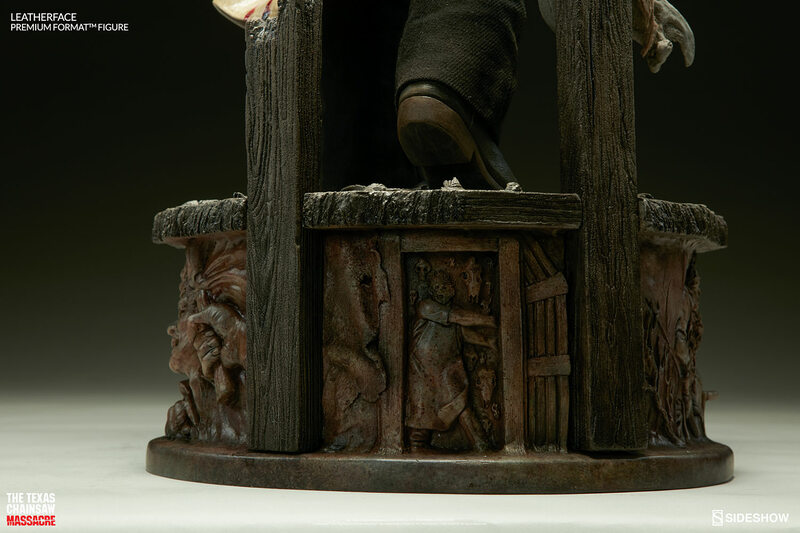 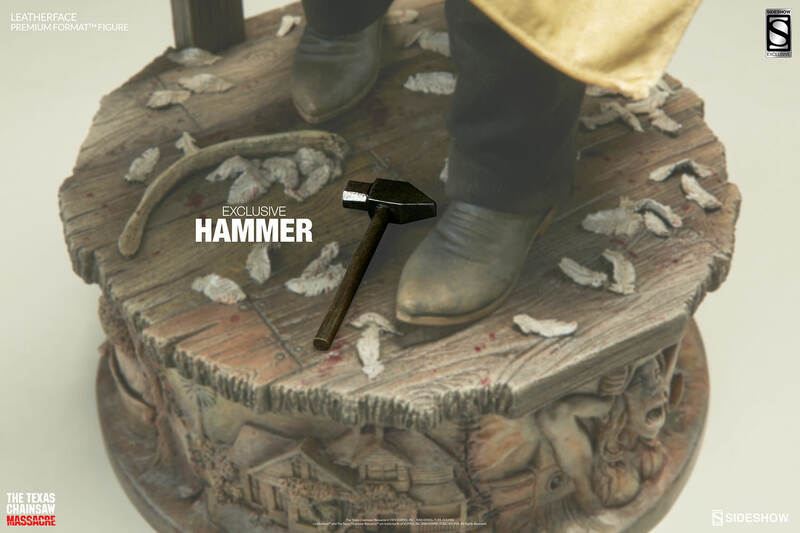 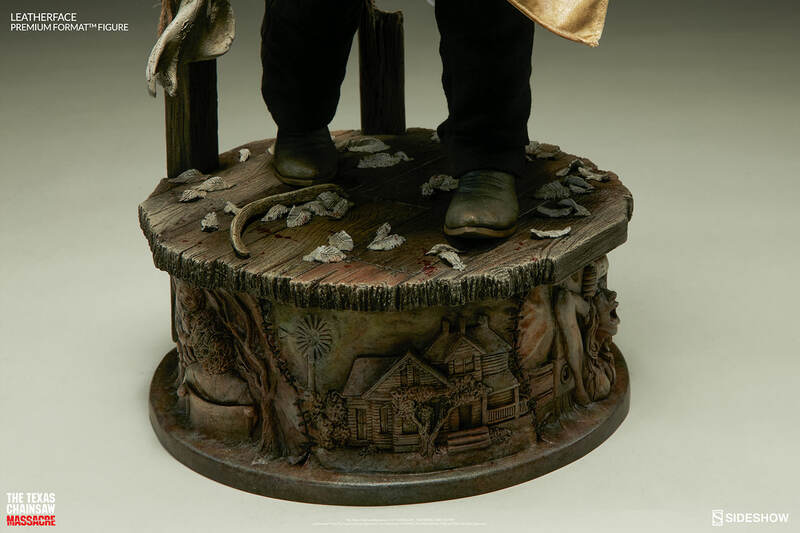 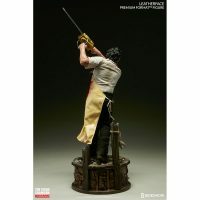 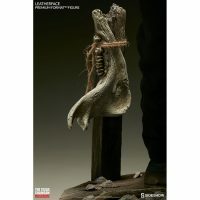 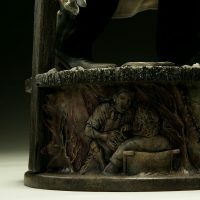 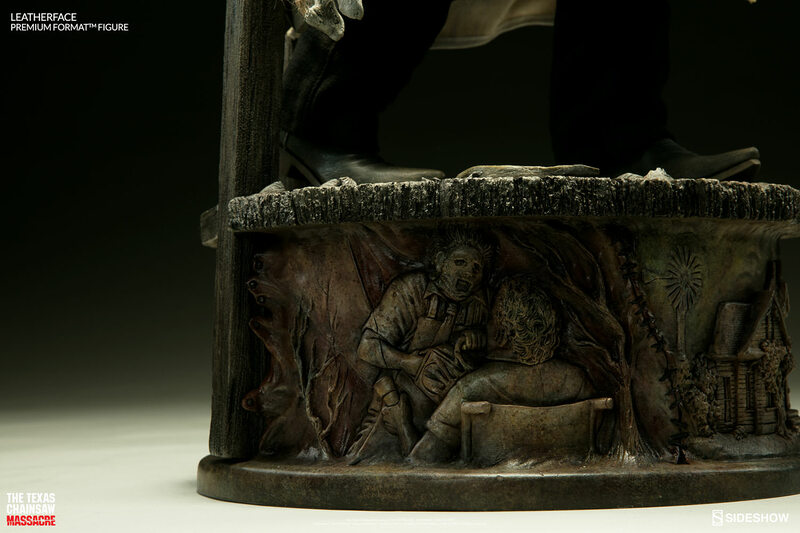 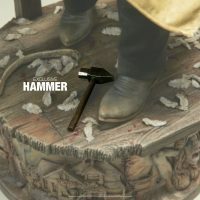 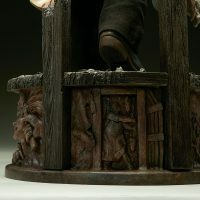 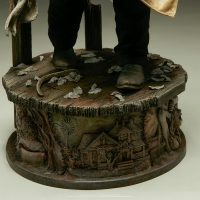 The highly-detailed base that Leatherface stands on features a variety of scenes from the film. 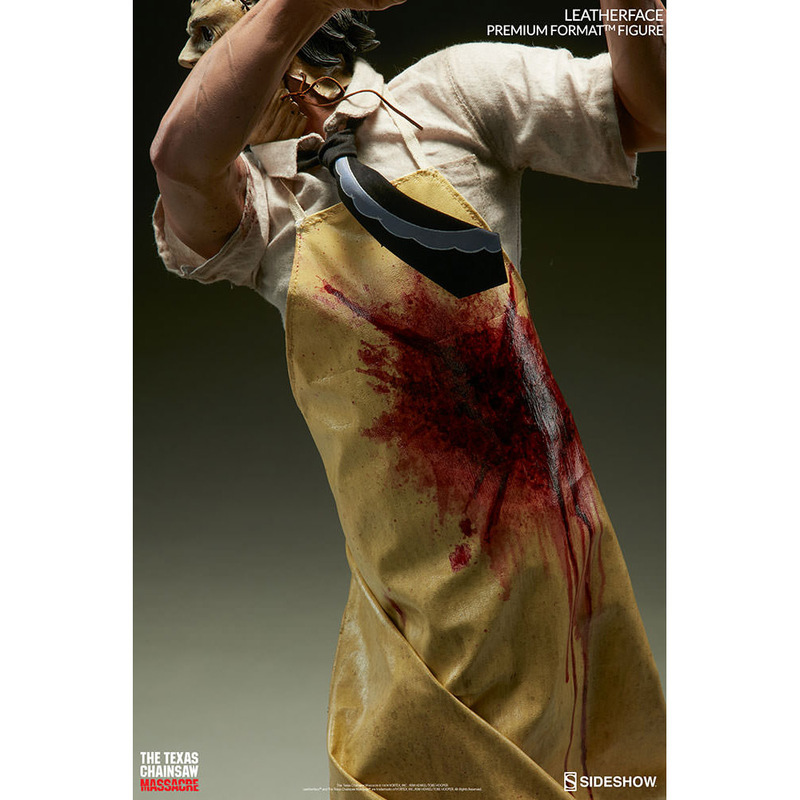 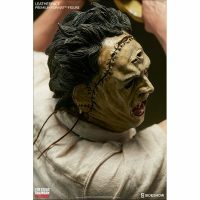 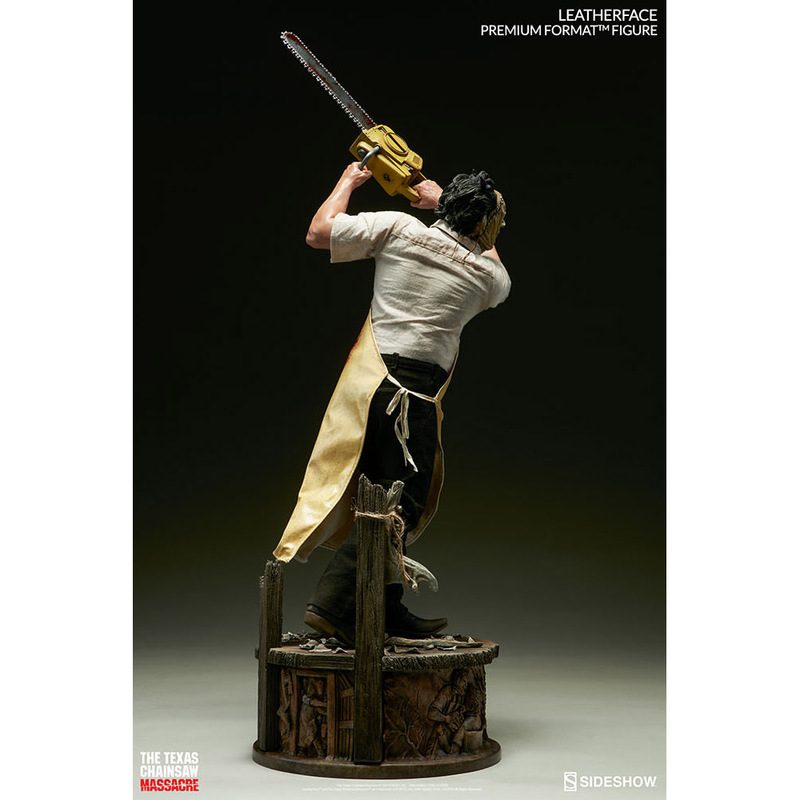 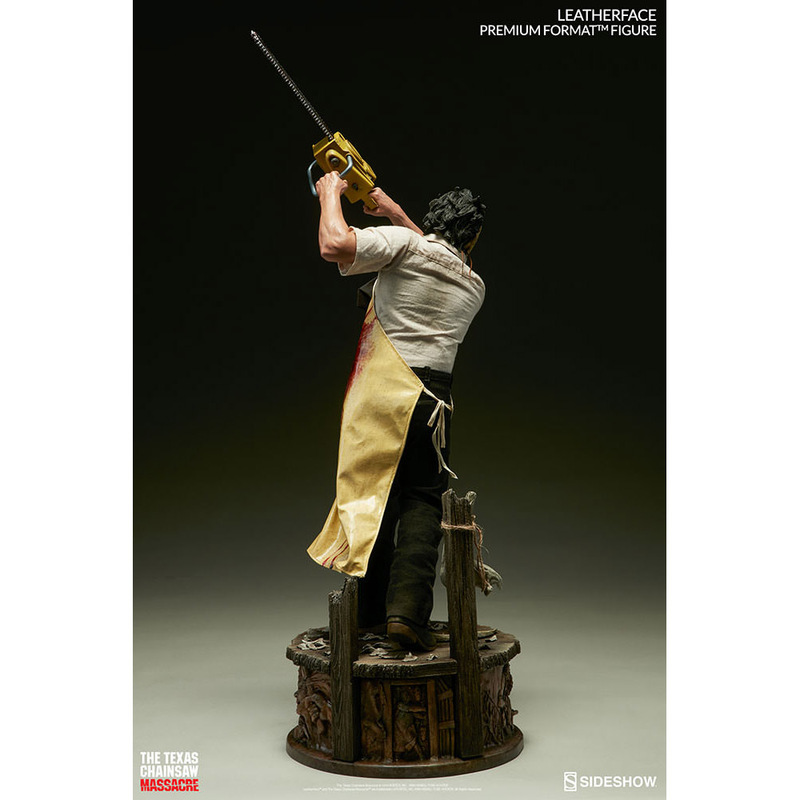 The Texas Chainsaw Massacre Leatherface Premium Format Figure will be available Aug 2017 – Oct 2017 but it can be pre-ordered now for $499.99 at Sideshow Collectibles.